Charlie Francis has been a great influence to me over the course of my career. The famed Canadian sprint coach believed that you develop speed with speed. We train at full intensity when we are trying to develop speed, and acceleration. All runs are as fast as the body will allows us for that given day which is why we say 95+% effort. Charlie believed if you want to be fast you have to run fast. Sub-maximal intensities do not develop speed as per Francis. Intensities in the zone of 75%-95% were thought to be too slow to train fast and too intense to recover from or to use as a recovery method. 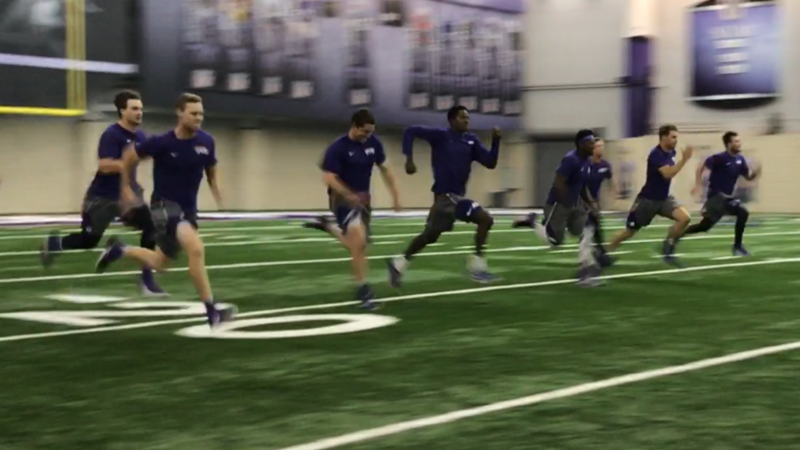 Whether you are truly training at 95%+ for the day isn’t as important as it is that the athletes are sprinting full speed for that particular day. Training for speed should not induce muscular / metabolic fatigue. Athletes should not be gassed after speed training the way they would doing 6 sets of 6 on a back squat at 80%. The fatigue from maximal speed sessions is nervous system based. Our athletes will report where they almost feel sleepy to an extent after a lengthy speed session. Muscles should not be sapped of glycogen. If athletes report being gassed with severely fatigued legs, then look closely at the parameters that are being used. More often than not, rest intervals were too short, and/or distances were too long. Tracking total volume of training on the field is just as important as in the weight room. We see coaches meticulously plan lifting sessions, percentages, total volume, etc., but callously run kids into the ground, training what they perceive to be speed. If you have no idea how far your athletes ran for the day or week, it becomes almost impossible to assess the overall training effect. Tim Gabbett’s research deals with understanding athlete workloads over the course of time. His research has shown many injuries come from large increases in training loads over a short period of time. Athletes are unprepared to take on such high levels of workloads and break down. Tracking volumes and intensities for sprinting should play an equal role to training in the weight room. Athletes cannot continually increase the volume of all high intensity means. When one takes a larger place in the training something else must be removed or limited to account for the increased stress. These high intensity means must remain in harmony with each other and tracking sprint training is a must. Training volumes for our athletes range between 150 – 350 yds. per session. The majority of our work will fall in the middle of that range and occasionally exceed the high end depending on time of year and goal of the block. Training for speed, and conditioning are not one in the same. Energy system work has its place and it’s a huge place in team / field sports. If you’re trying to develop the ability to sprint faster doing it under conditions of fatigue is not the answer. Speed is highly CNS driven and even more so the higher the level of athlete. Sprinting in conditions of fatigue do not allow an athlete to run full speed. The differences in developing speed vs energy system come down to distances, intensities, and rest intervals. Paying attention to rep recovery is vital when training for acceleration and speed improvement. A general guideline that we use is between 30sec-1 min per 10 yds. Speed, just like max efforts in the weight room, require long rests to ensure nervous system recovery. Depending on the sport, energy system development can be more important than speed. Speed is great but without the ability to display it over and over and over with short rest it really doesn’t matter. You may be asking why am I training for speed if it’s the energy system that may be more important. But speed and biological energy are connected. 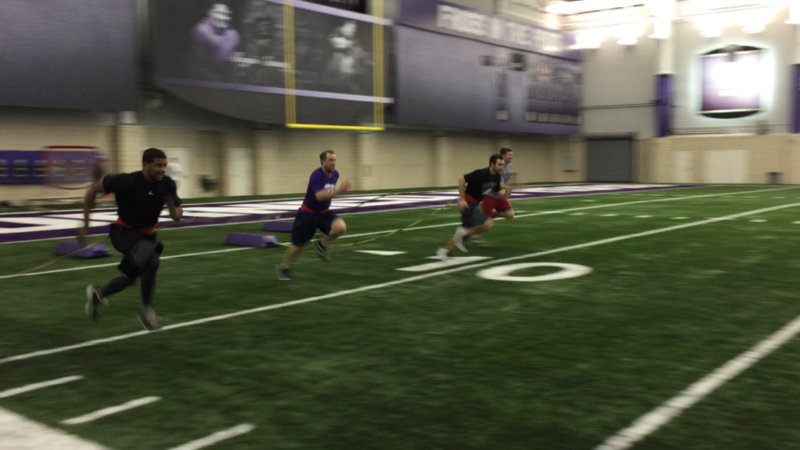 The higher top end speed of an athlete, the less work required when sprinting sub maximally during a game. This is speed reserve. Take an athlete that runs a 4.8 vs a 4.4. 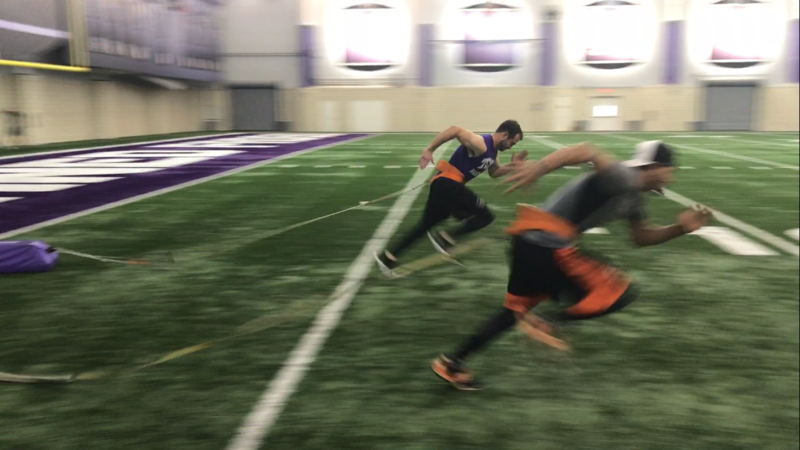 When these two are running at 4.9 speed the athlete that runs a 4.4 is saving loads of energy vs the athlete at 4.8 who is at 95% of his capacity just to keep up. These factors come into play especially in the later stages of a game and show themselves as energy system work but speed has had just as much an effect in this instance. Both speed and energy system work have their place but understand there is a huge difference in the means and methods utilized to develop each. Movement comes in various shapes and sizes. There is no technical model to follow. Different body sizes, limb lengths, neuromuscular systems all form one’s own technical ability. Look at the differences between Usain Bolt and Michael Johnson. Both set world records through completely different styles. What works for one athlete technically may be another’s downfall. Allow your athletes to move better and more efficiently within their own framework instead of overlapping another athlete’s scenario. Their body will figure out the motor skill per their own structure and on their own terms. The athletes, we as coaches, train have been running for more than a decade on their own already so it’s not as if coaches are working with a barren palette. We may be able to assist them in this endeavor and adjust things here and there but in the grand scheme of things most athletes will revert back to natural ingrained motor patterns when it becomes an all-out battle anyway. It’s human nature. Tom Shaw has talked about this very concept when training Chris Johnson for the NFL Combine by working on correcting technical flaws. When it came time for his 40 yd dash Chris went back to the same “flawed” motor pattern he had used forever….and still ran the fastest time in history….up until this past weekend that is. Allow players to move within their own framework. 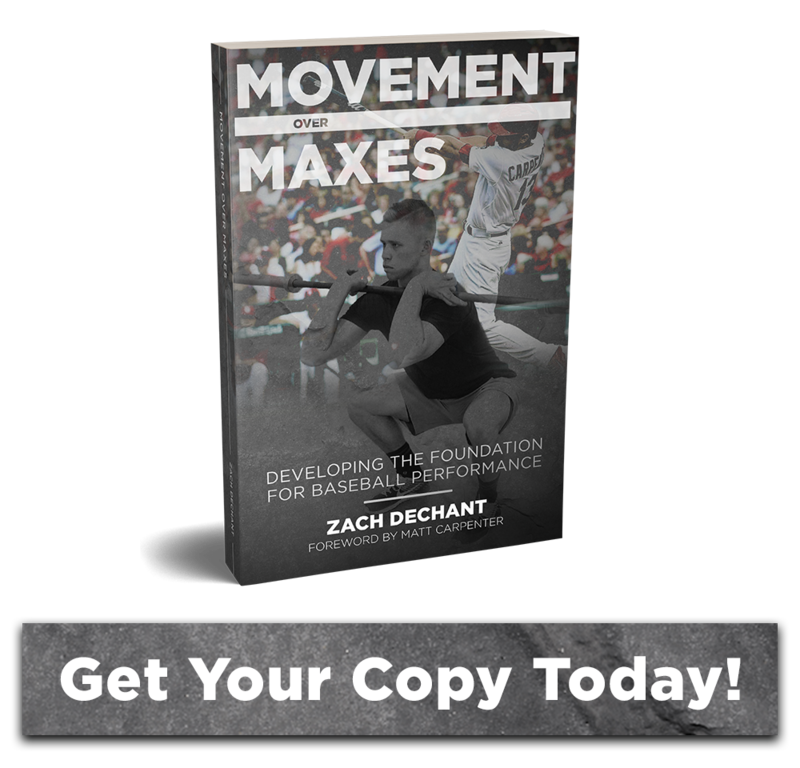 Yes, mechanics are important, but we understand we would rather spend our time sprinting full speed and training nervous system output vs battling a motor pattern that has been ingrained over decades that an athlete will often revert back on a field of play. Technique has its place in training but given the hour restrictions at the NCAA level many of us don’t have the time to hammer hours of technical work when it comes to sprinting. Not only that but many team sports don’t run full speed in a straight line anyway. Now if my primary sport was track and field that is an entirely different scenario but being that our athletes play a field sport we must know which battles to fight in the essence of time. If we do technical work, it is reserved for later stages of the warmup and early parts of a speed session. But again, when we look at the reward vs time spent it’s often not favorable for our training scenario so we must pick our biggest battle. Adding elements of technical work into the warmup allow us to kill two birds with one stone so to speak. For us the primary emphasis on technique becomes to correct arm drive. Correcting arm drive will often set the body up to assist lower body mechanics. Our focus becomes emphasizing big angles, as Stuart McMillan would say, driving the elbow down and back. For every action, there is an equal and opposite reaction. By focusing on elbow drive down and back we get high hips and knee drive forward on the opposite leg. Charlie Francis always said “the arms control the legs.” The arms being closer to the brain receive neural input first. If you don’t believe the arms control the legs, have your athletes try to sprint with short, quick, choppy arm movements…it doesn’t work. The legs follow with the same short, choppy action below. Sprinting is a highly coordinated neuromuscular movement pattern of equal and opposites. We teach athletes to drive the elbow back focusing on hip pocket to the chin. Our coaching is geared more on the elbow instead of the hand so that we get shoulder rotation instead of elbow extension where it looks as if kids are just swinging a hammer. Pelvic rotation is important when it comes to sprinting. Don’t let athletes get carried away crossing their arms across the midpoint of the body. We teach and train with the arms coming to the midline but never crossing. One of our cues is to imagine a sheet of glass running through the midline of the body. Cue athletes to touch it with their hands but don’t break the sheet of glass. Remember sprinting is a coordinated movement pattern of equal and opposites and allowing the arms and upper body to rotate frees up the pelvis for increased rotation and subsequently stride length. Focus on correcting arm drive and the rest will follow.